The Emglo 2HP portable compressor is the perfect companion for all your air tool needs. Compressor features a 4 gallon capacity, 1/4" female quick connect fitting, ball drain valve for easy draining, and dual air regulators. Whether you are roofing, laying a new hardwood floor, or trimming out your room, this compressor has the power to handle to job. Rental includs 50' of 3/8" air hose. 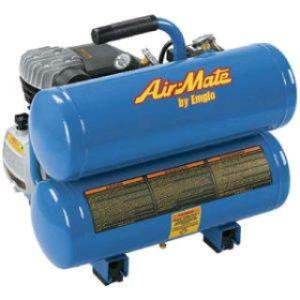 * Please call us for any questions on our compressor 2hp electric rentals in Hillsdale and Ridgewood NJ.